Honda Big Red Owners � Look no further for parts and accessories. We have all of the accessories you need for your MUV. We have all of the wheels, tires, bumpers and performance products for your Honda Big Red Side By Side UTV. You will not be disappointed in our growing selection. We offer a variety of Honda Big Red accessories that can improve performance, handling, and functionality of your side by side. 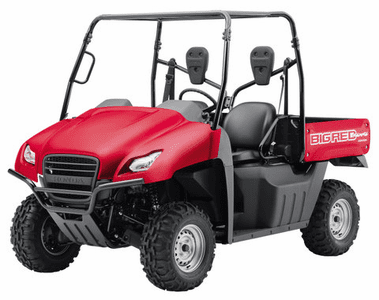 Whether you are looking for new wheels, tires, winches, or drive train components, we can help you get more out of your ride with our selection of Honda Big Red parts. From street legal parts to off road accessories, we have got you covered.